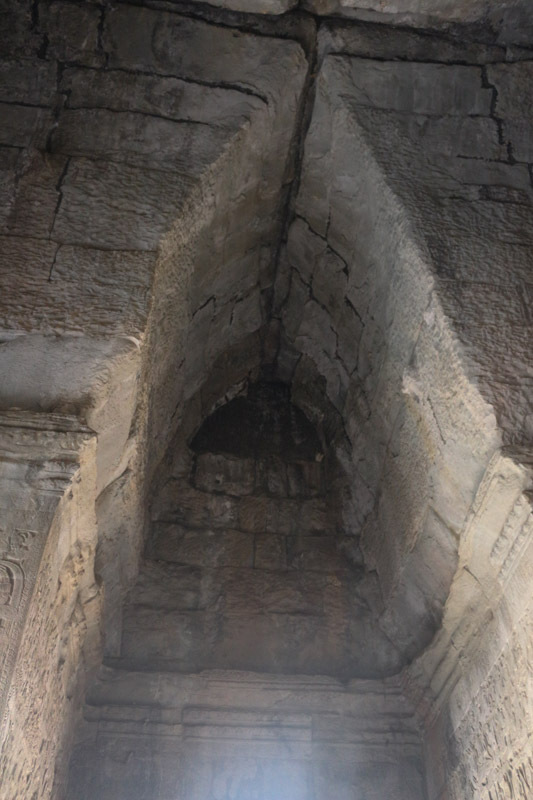 You can see that the ancient Khmer did not know the round arch. Instead they moved each layer of stones closer together to create a narrow vaulted ceiling. Therefore the possible width of the corridors was quite limited.